It’s been 2 weeks since my son was deployed to Afghanistan with the U.S. Army. As of this writing, he will return home in 372 days. 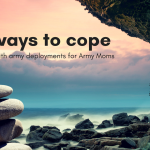 It’s been a difficult two weeks for this Army Mom. My son and I have lived far from each other for 5 years now. First he was in Germany and then on opposite coasts in the U.S. It’s not being away that bothers me. No, I’ve learned to have a long distance relationship with my son that includes frequent visits. 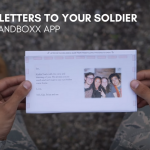 It’s the thought of my son being in Afghanistan that is hard to take. I still can’t quite wrap my mind around that. 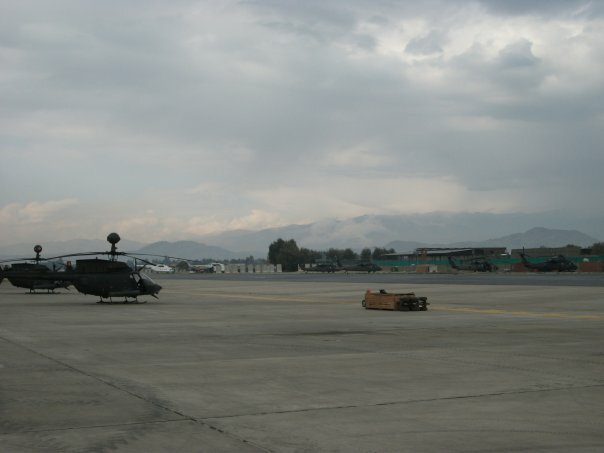 He took this photo “another day on the flight line” in Afghanistan. It still just doesn’t seem real to me. Some days are better than others as I learn how to be the Mom of a deployed soldier. I laugh, I cry, never knowing which will come out at any given moment. I’ve sent 4 packages already and will go broke if I keep up this pace. I am thankful that we can chat frequently on Skype and I can listen to stories of this new life to which he is getting adjusted. Although I go through my normal, daily routine, I am distracted and burdened knowing that my son may be in harm’s way. I am thankful that he is safe today but don’t know what tomorrow may bring. I am proud of my son – he is a strong, confident young man who is proud to serve his country. I just still can’t wrap my mind around the fact that he is in Afghanistan. I wake up everyday and tell myself to be strong for him, that is what he needs from me and so I will do it for him. I am touched by the many family and friends who have sent their prayers, packages, and messages to my son. With all this, I learned again that when our soldiers are deployed, we are all in this together. 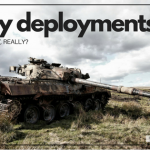 Our soldiers need the strength of our combined support. It take all of us to support them and each other. Being Army Mom Strong is not an easy job but I will do it. And I would not be able to do it without the support of all the Army Moms and friends that are being strong with me and each other. I thank you all for being there. We are all in this together. 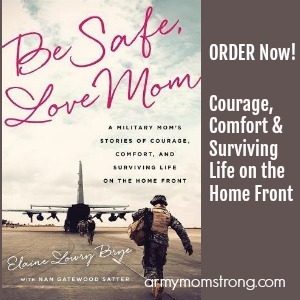 Be Army Mom Strong. We ARE in this together, and we WILL get through this. 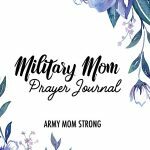 We ARE, Army Mom Strong! Hooah!